Just bring in the original advertisement to a Service Advisor up to 30days after the date of your purchase with your original receipt. Please ask any of our advisors for more information. 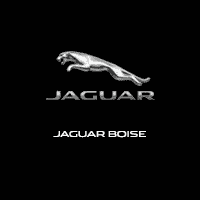 Receive a FREE multi-point inspection with every service at Jaguar of Boise. Jaguar vehicles only. Please Present Coupon at time of write up. Cannot be combined with any other offer. Good only at Jaguar of Boise. Cannot be applied to previous purchases. Save 10% off on a battery replacement performed by factory-trained technicians. Image does not represent actual battery, Battery design and placement may vary by vehicle. Valid only at Jaguar of Boise on Jaguar vehicles. Please present coupon at time of write up. Cannot be combined with any other offers or coupons.